I am a more popularly known as an entrepreneur and the foremost sales management consultant in the country. But, what most people don't know is that I am also a geek... a vintage geek, perhaps. 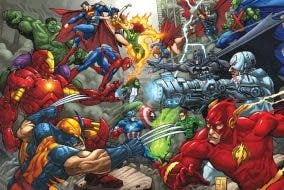 I love comic books (DC, Marvel, Dark Horse, Image, you name it), and I love how they have grown from print to TV and movies. But, comic-book themed TV shows and movies aren't the only things I watch. I, basically, watch any genre of TV show or movie... and I love to critique all of them.